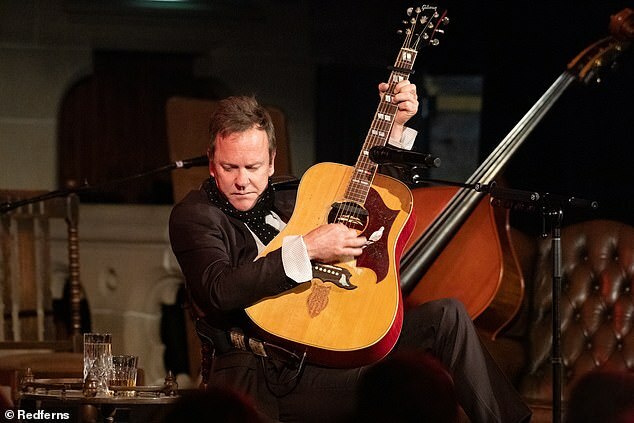 He’s successfully carved out a new music career after over 30 years in the acting business. 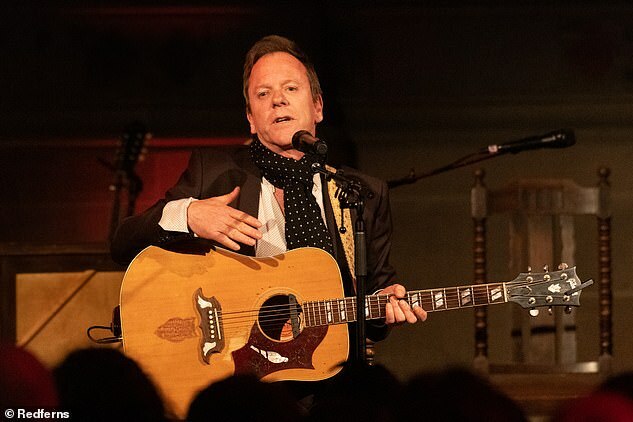 And Kiefer Sutherland entertained a crowd at Cottiers Theatre in Glasgow as he took to the stage to perform on Sunday. 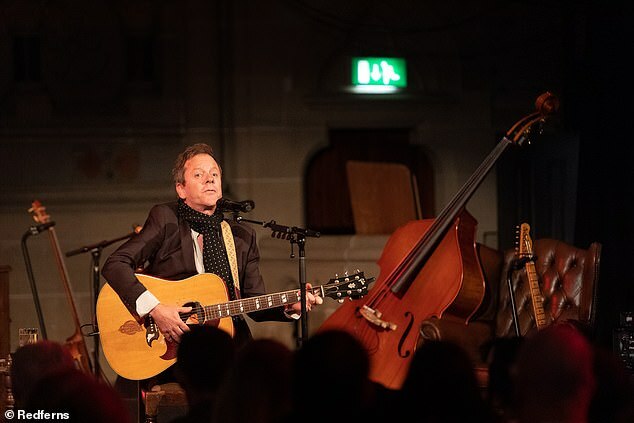 The actor, 52, arrived on stage with a guitar and was joined by two other musicians for the performance. He cut a casual figure in a black blazer and matching trousers which he paired with a white skirt and a dark, polka dot scarf. 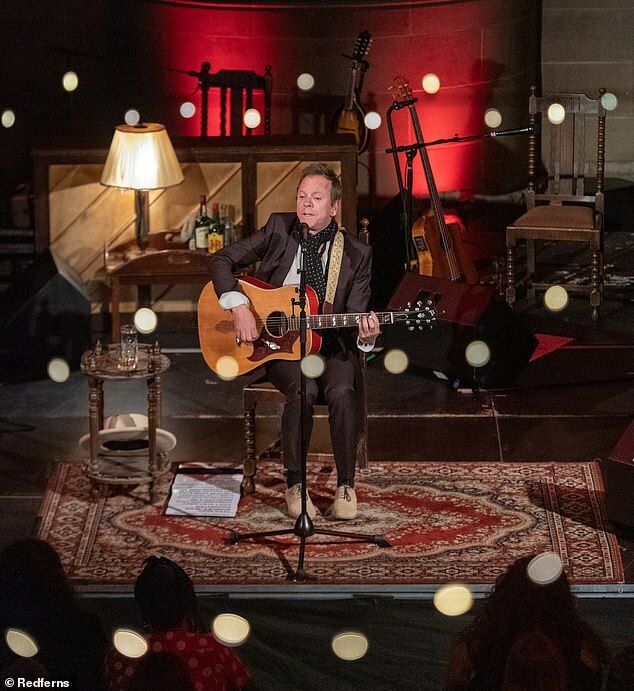 After a performance in London’s Moth Club on Tuesday, Kiefer has gigs lined up in France and Germany. 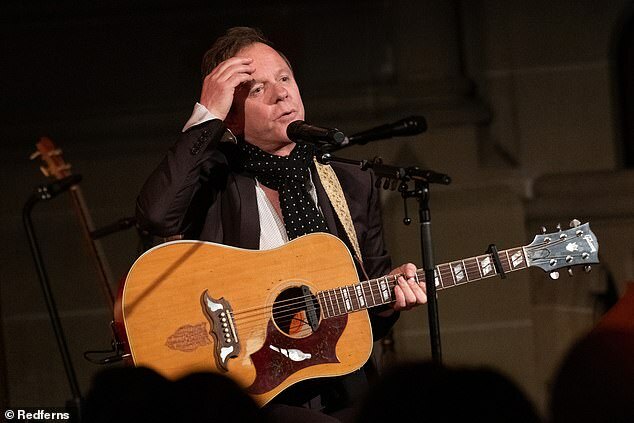 Opening up about his new album Reckless & Me to Vents magazine, Kiefer explained the influence behind the tracks, saying they were personal stories from his life. 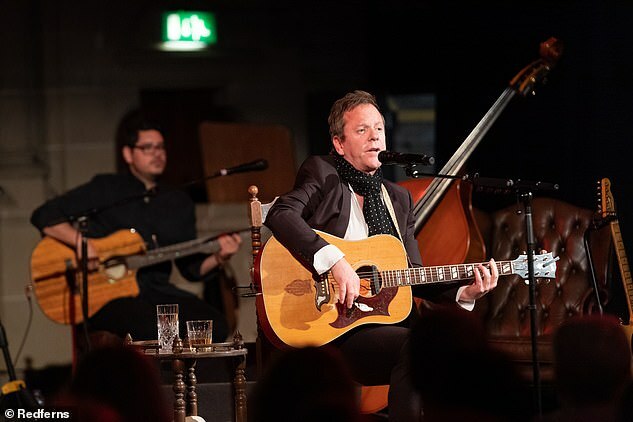 He said: ‘As an actor I know that making a connection with an audience always comes by virtue of the story or the character. ‘This is very different. They’re personal stories from my life. As lucky as I am, there are things you can’t avoid. 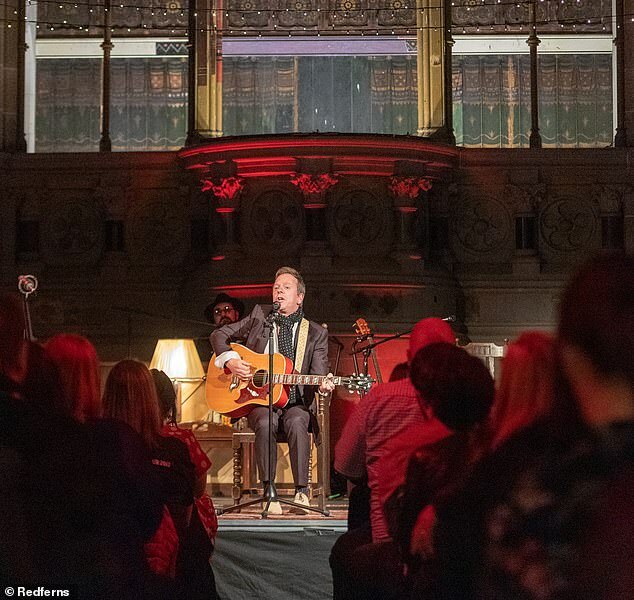 ‘Friends of yours are going to die, you’re going to be let down, your heart will be broken. 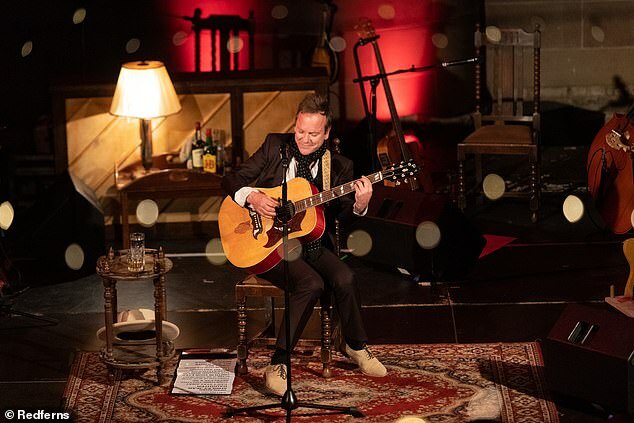 Meanwhile Kiefer, who is engaged to actress and model Cindy Vela, 40, also suggested that the stage holds a special place for him after extensively touring over a three year period. 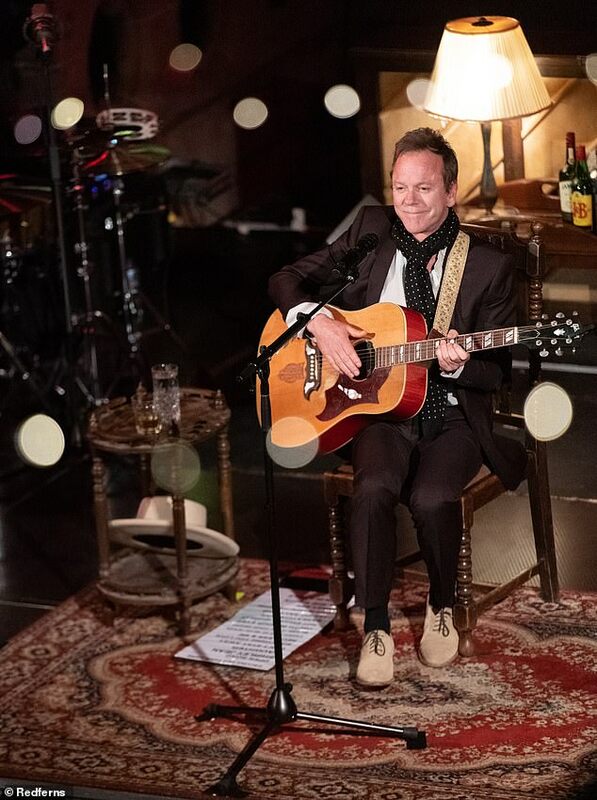 He told Broadwayworld.com: ‘I couldn’t have imagined the depth with which I have fallen in love with touring.